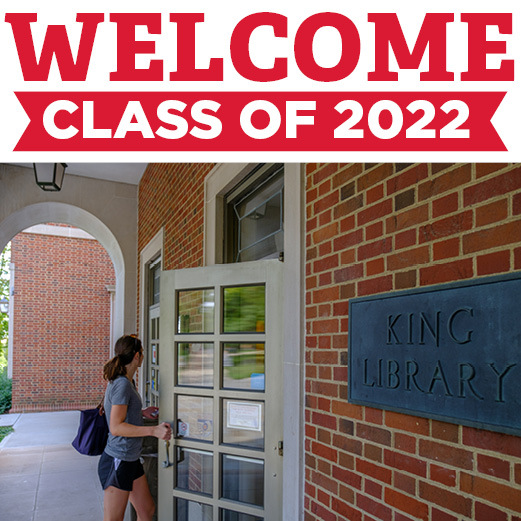 Congratulations to the Class of 2022 on your admission into Miami University and the start of what will be four tremendous years of learning, personal growth, and great friends and memories. Of course, the transition to college and the intensity of college-level classes and coursework can be daunting at times. That’s why we are here – to serve you and ensure you have what you need to thrive academically and for the rest of your lives. We stand ready to meet you where you are and help guide you to where you want to be. Start marking your calendars for the Libraries' fall workshop series. We're here to kick start your academic success with tips and resources on citing sources, avoiding plagiarism, spotting fake news and more. In the meantime, prepare yourself with our first-year student LibGuide and these eight great ways the University Libraries can help you ace the next four years. Your new best friend. You don’t have to be a research ninja to step into our dojo. We’ve got a librarian specializing in just about any subject you can imagine, and our famously friendly staff lives to connect you with the guidance and resources you need. All you’ve got to do is ASK US. We offer a world of resources … literally. If we don’t have that book, article or other media you’re looking for within our catalog, we can track it down and get it to you. We’ve gone all the way to Australia to track down that hard-to-find article! Check the tech. From basics like phone chargers, laptops and iPads to cameras and tripods, the Libraries offer a range of technologies for checkout. Our in-house computers and labs also offer free access to many of the high-end, specialty software you need. We even offer 3D printing! Not just brick and mortar. Our University Libraries are at your fingertips, wherever and whenever you are. In addition to the ability to chat online with our librarians, our website offers access to more than 500 online databases to enhance your research. Before you buy that textbook … Textbooks for many of Miami’s most popular courses are available for in-library checkout. If buying that textbook is going to be a stretch financially, check with us first to see if we have it available. A space that’s just right. From the energetic buzz of King Café’ to the quiet study areas in each of our four branch locations, there is a library space made for you. Need to get together on a group project? Reserve one of our study rooms. Four great locations. King Library is, well … (you made it into Miami, so we’ll let you fill in the blank), but there are also three other great locations that offer our core library services and their own unique vibes and collections. King is there for you 24/7, but don’t let four years pass without checking out our other great locations. Follow us! Get great tips from our librarians and updates about upcoming events and workshops by following the University Libraries on social media – Facebook, Twitter and Instagram.